1. Complete Activities 23 & 24 (Building Better Vocabulary and Using Collocations) on pages 64 -64 of the textbook. I’m pretty sure those are the pages I mentioned at the end of class. If I said something different, it was a mistake. Please ignore my mistake and just do pages 64-65! We will check the answers in class on Monday! You should check the paragraph for all the grammar problems we’ve discussed in class, and to make sure the Topic Sentence, Body, and Concluding Sentence are doing what they should be doing. 3. If you haven’t already done so, post the other paragraph you wrote—the process paragraph your wrote using a series of questions yesterday—to the Paragraphs Blog. Make sure you have posted four paragraphs this week. If you need a topic for a new paragraph, there are some ideas on pages 68-69 in the section titled Additional Topics for Writing. 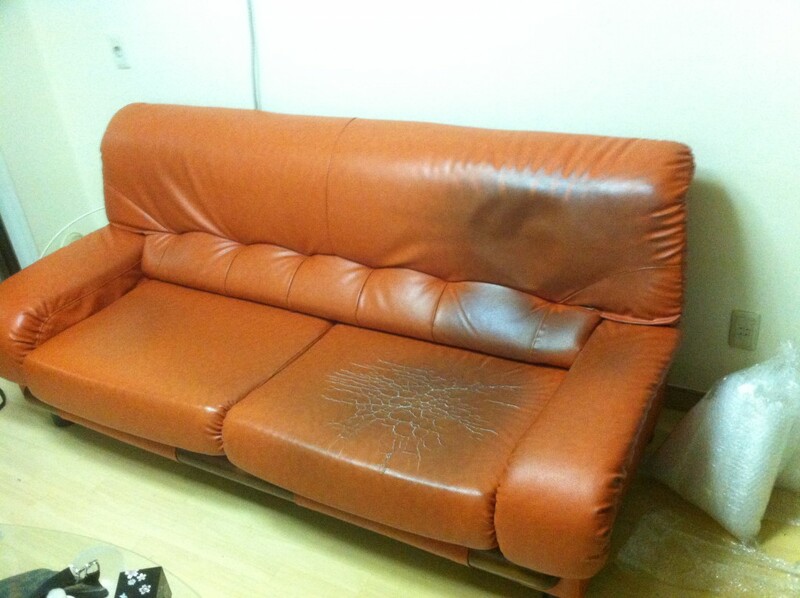 Finally: here’s the nightmare couch I said I’d show you a picture of! I hope it doesn’t give you nightmares! Ha! That’s all! Have a nice weekend, everyone!